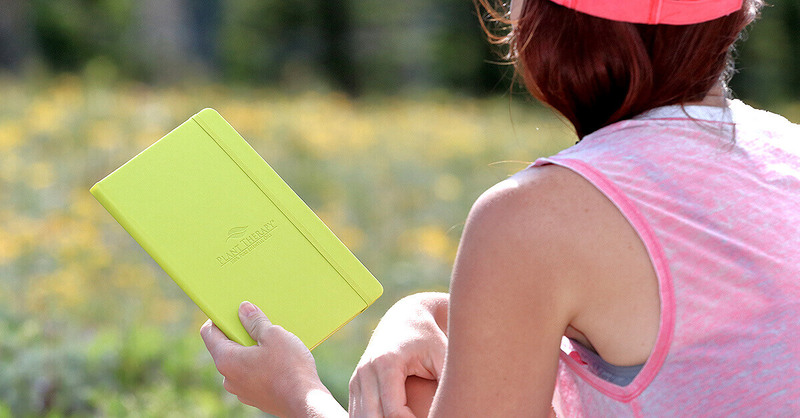 There’s never a wrong time to pick up a pen, open a journal, and start to write. Regularly journaling has shown long-term positive side effects, such as a reduction in anxiety and an increase in gratitude and positive thinking [1,2]. Those are some pretty great psychological effects we can all benefit from, so why don’t we all journal like it’s going out of style? Because picking up a new habit and sticking with it is hard. That’s why. How many times have you bought or been gifted a gorgeous journal, just to write in it a few times before letting it collect dust on your dresser? It takes a good amount of time management, energy, and desire to really sit with your journal and reflect on your thoughts deeply enough to transform them into words on paper. If you’re serious about adding journaling into your life, there are so many ways essential oils can support you. They can help pick up your energy, encourage introspection, and invite positive, productive thoughts! Here we’ll take a look at 5 great oils to consider. But keep in mind that there are hundreds to choose from — each with their own unique mind and body benefits that can support you with whatever journaling goals you may have. Carteri, Serrata, or Frereana — it doesn’t matter. Whichever Frankincense is your favorite can be the one you use to get in the mood to write. Each variety is prized for aiding in meditation because it is so grounding and calming. It’s great to inhale alone or blend with Sandalwood, Cypress, or Patchouli. The earthy, fruity, and floral aroma of Clary Sage is balancing and calming, which makes it perfect when emotions are a bit too wild to sit down and journal. 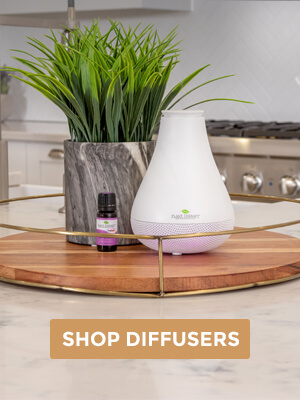 Add it to your diffuser to help set a calming atmosphere in your room, or add 3 drops to a teaspoon of carrier oil and rub in your palms and on your wrist to enjoy the aroma. When emotional issues are preoccupying your thoughts too much to devote some time to writing, Blue Cypress can help. It is felt to be calming and soothing to a restless spirit, helping to settle you down so you can pull out that journal and start writing! Its smoky, spicy, and woody scents can be balanced by the sweet brightness of floral oils, like Rose, Ylang Ylang, and Jasmine. 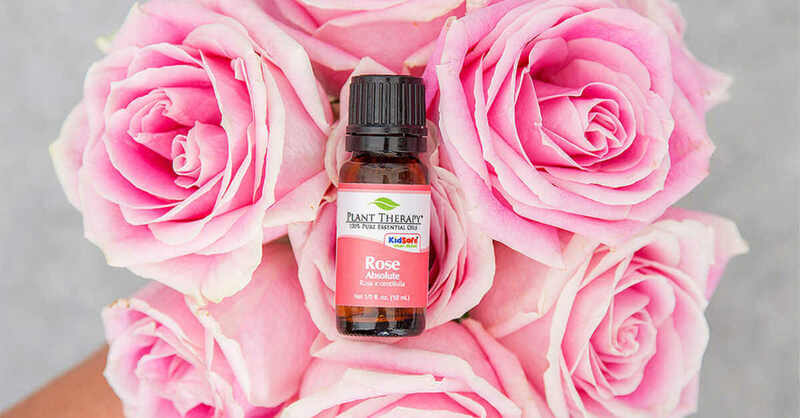 We have a few choices when it comes to Rose, but all are wonderful to help soothe emotions and help establish a feeling of calm and relaxation. The amazing rich floral scent is reminiscent of taking a stroll through a field of blooming roses; can you even imagine a more serene place for your mind to be during your journaling? It’s a great oil to get your mind in the right place to genuinely reflect on your thoughts. This bright citrus oil is great if you need a little boost of energy to get you going. 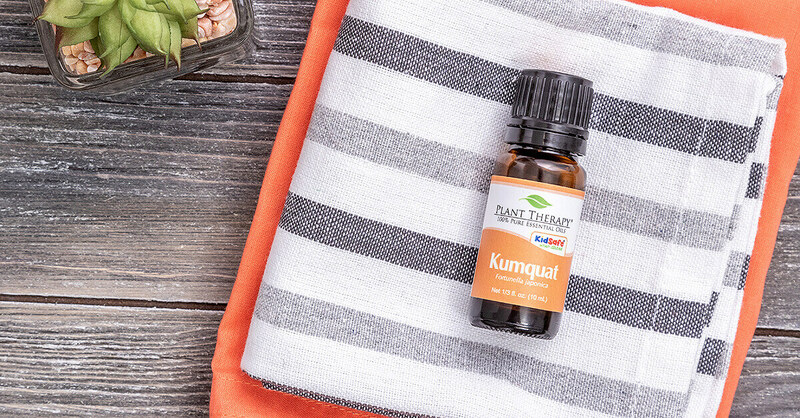 For anyone wanting to commit to their journal while they drink their morning coffee or tea, diffuse Kumquat to brighten and uplift your senses. 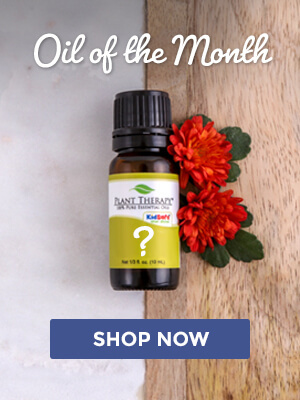 It can help give you that motivating pick-me-up you need to stick with your goals and blends wonderfully with grounding essential oils, like Frankincense, Patchouli, and Vetiver. Add one drop of Meditation to a single tissue. Wave the tissue briefly to help air it out. 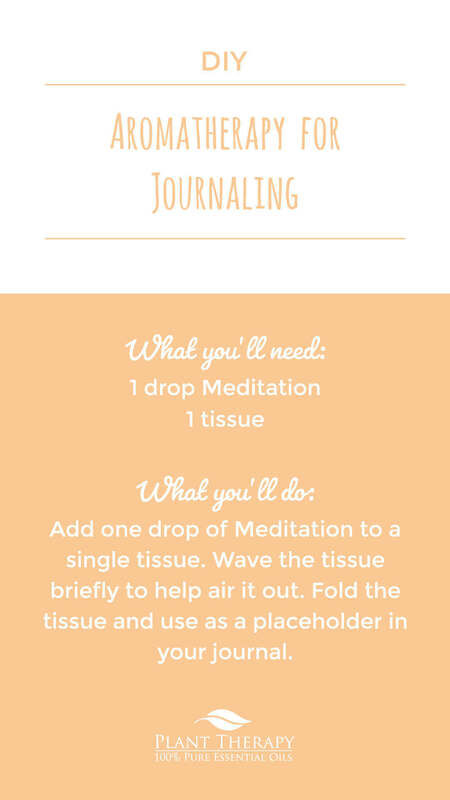 Fold the tissue and use as a placeholder in your journal. Niles, A. N., Haltom, K. E., Mulvenna, C. M., Lieberman, M. D., & Stanton, A. L. (2013). Randomized controlled trial of expressive writing for psychological and physical health: the moderating role of emotional expressivity. Anxiety, stress, and coping, 27(1), 1-17. Sansone, R. A., & Sansone, L. A. (2010). Gratitude and well being: the benefits of appreciation. Psychiatry (Edgmont (Pa. : Township)), 7(11), 18-22. The concept of putting a drop of EO on a tissue then using it as the placeholder in a journal is so simple yet so brilliant!! I journal almost everyday! So that’s why I feel the urge to smell Meditation and love it so much along with Tranquil synergy! And why not, stain the journal pages with a subtle smell of one of my favorite synergies! I’ll put a drop of it directly on the paper, what a great idea! I love journaling and I diffuse uplifting scents that help me concentrate so that I don’t get distracted. My favorite combo is Frankincense and Orange (really any citrus scent). It is relaxing and invigorating at the same time! I love this idea! I just brought a new journal this week, and i am going to try diffusing when i use it to help me focus in – thanks for the suggestions! Journaling and essential oils are both really important parts of my self care routine, but I have never combined them. Thanks for the ideas! Great suggestions! I will be trying some of these when writing in my new journal. Thank you! Excellent blog. I need to start journaling my journey with MS. Reading this and seeing what oils to try may help push me to start. Now I need to find a journal that speaks my name. I absolutely adore Plant Therapy’s Meditation synergy! It’s always been one of my favorites. I haven’t tried it while journaling or blogging yet, but I do like to diffuse it when I’m playing the piano! Such a lovely scent!!! Wow, great suggestions! I love to diffuse while bullet journaling so I’ll definitely give some of these combos a try! I find I loose focus when I try to journal. I think these oil suggestions sound like a great way to help! I just bought rose and frankincense. Cant wait to get them. Im in love with the oils, such good quality. I love this idea! I’m using this “tissue trick” as a bookmark for my novels. A new scent for every book I’ll be reading. Oil and journal is my two favorite things!!! Love it !!! What an easy idea to try! Love the idea of opening my journal and being subtly hit with scent. oh, I love the sound of kumquat. Will have to try this. This is so cool! I would never have thought to use oils in this way – and even to keep an oil on a tissue in my journal. Amazing! Thanks for the creativity. I love the idea of journaling and have bought many lovely journals in the past and have never committed to filling them. I would love to try creating a ritual of evening journaling while diffusing some oils. I think it would be quite a therapeutic wind down to relax and reflect on the day. This is SO easy! I think I’m going to do it right now! I definitely need something to help me stick to journaling. I struggle with anxiety and I start journaling but I never stick to it! I always make the excuse because I never have time but I need to make time. Hopefully incorporating oils in to it will help because I love using oils for whatever I can! Thanks for the great ideas! Thank you for this. Looking to start my blog. Need to learn more about Frankincense, I know it helps in so many ways. Have to go back to study it. Who thinks of these amazing ideas and blends? I journal alot to help get my emotions out and never thought about adding oils to help with that What would I do with Plant Therapy? I’d be lost for sure. Fascinating article! I don’t do a lot of journaling, but my job is very writing-heavy, and I think a lot of these oils would help. Would love to try the kumquat — and I think I’ll use the tissue trick for a bookmark with the book I’m reading at bedtime, with some type of relaxing oil 🙂 Thanks for the insights! I’m intrigued by the tissue trick. About how long will the scent of the oil last on the tissue? I’ve been wanting to start journaling. This gives me more encouragement to do it. I feel like it would help me a lot! Also gives me a reason to use my unopened Frankincense! Good tip to scent the journal too! I feel like you’re reading my mind, haha! Just last night I was contemplating starting a journal! I’ve been thinking of it since – what, how, when, will I keep it up, etc. I guess this is my sign! I have two of these oils and am interested in one of the others. And I really like the idea of the tissue place holder and will definitely be doing that – thank-you for the idea and the motivation! I had no idea you had mediation oil, so wonderful! I can use that for my yoga students as well! Always teach journaling as a means of mediation, healing and growth. I love to use clary sage for focus. Thanks for making a great product! I am a sporadic journaler. I am trying to become more consistent. I only wrote in it twice in January. I will be reading more about blue cypress. Cypress is one of my favorite oils, but I haven’t tried blue cypress. I use Lucky synergy for my gratitude journal. The spearmint and lime are positive and uplifting. I drop a drop on the first , middle and last spine area. My book always smells like “positivity “. And that’s a great thing to be grateful for. Wow love these oils and I am super glad I read this blog and will forsure use this trick! Thanks! I love to journal but I get easily distracted. I will definitely be trying to tissue hack! Also I didn’t know you carried kumquat! I will have to check that out. What a great post! I am actually going to use these ideas with my planner. I’m also going to try the tissue trick with my sleep affirmations book. What a cool hack! Great ideas to stay motivated! Thank you! I’ve never been consistent at journaling… hopefully the use of essential oils with help that. Thanks for the article! I’ve tried journaling a few times as an adult and always fail. As a kid I did it every day and loved it. Ill have to try aome of these oils! Thank you! We hope the oils help, Dana! Never thought of scenting my journal! I have most of the oils in the blog but I really want to try the meditation blend. I love journaling and I never thought of how essential oils can help create a perfect journaling atmosphere. I absolutely love the blue cypress! Journaling is my thing and has always been my “go to” when I need to relieve stress. The meditation roller is awesome too! Excellent article. Incorporating essential oils to Journaling only makes sense now. Thank You, Katrina Scampini! You are so welcome! I’m glad you enjoyed this article! blue cypress with a floral oil! I bet that’s heavenly! I never thought to pair oils with my journaling time. Usually I’m so focused on the task at hand that I forget. Thanks for the list of ideas. I’ll try incorporating this! I am looking forward to ordering kumquat, though–seems so refreshing and enlivening! The oil will evaporate quickly on the tissue, leaving very little chance for it to transfer over and stain the journal. However, if you’re worried about it, try this technique on some scrap paper or a different book you don’t mind experimenting with. Hope this helps! I am definitely going try the tissue trick! I am a journaler, and I was looking for a good oil to use with that.. I think I’m going to add meditation to my order!! I will have to try these options for helping in focus. Journaling is actually something I was thinking about the other day, thanks for the encouragement! I have been journaling a lot lately and especially enjoy doing so with my diffuser going. 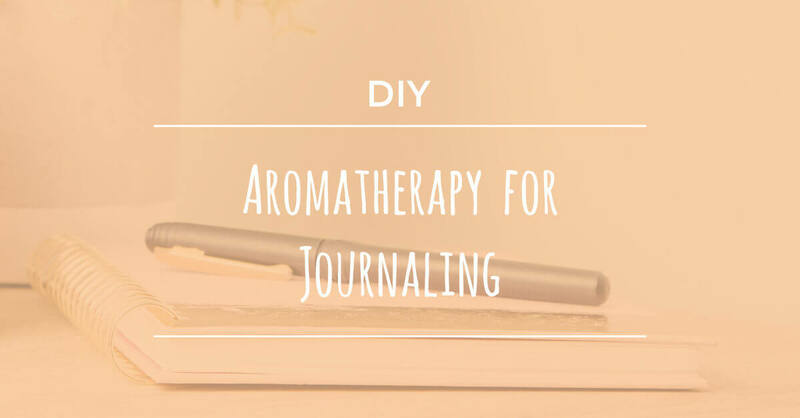 I will need to try the journal aromatherapy DIY. I can’t wait to try this! I journal daily! I added these to wishlist! Thanks!! Awesome. I love meditation and will be trying this blend. Thanks Plant Therapy. What area suggestions and ideas! I’m looking forward to trying some of these today! 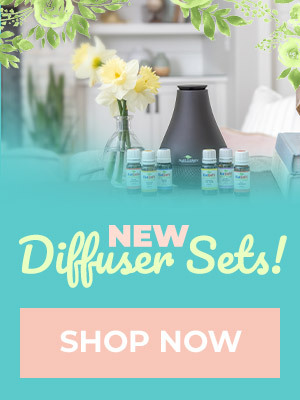 These are wonderful suggestions, I want to use the frankincense or vetiver with kumquat, since I didn’t know what it would go well with. I love that these oils will support me in journaling as I need to get back to it since I have very little companionship in my life. I used to write a lot and it really helped me. While I feel pretty isolated now after moving and not knowing anyone in the area, I think journaling will do me much good. Thank you for this article at a great time for me to see it! We’re so glad you like this article, Samantha! 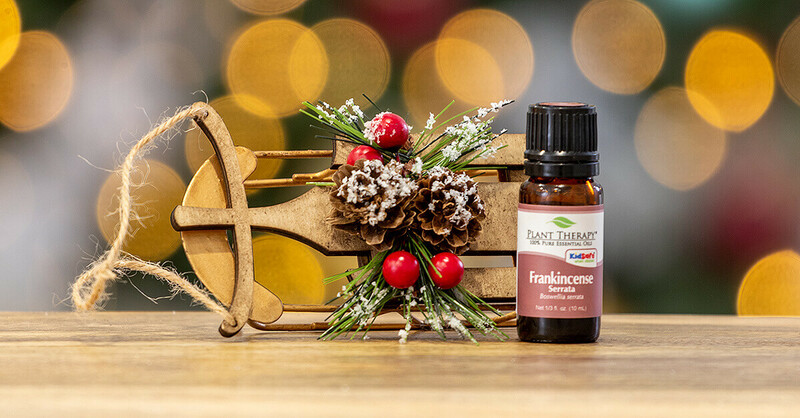 You are so right about Frankincense, it has a very calming effect. I recently got Rose and this is the most wonderful smelling essential oil. Love the tissue trick, will have to try it. Interesting! I do journal sometimes, but I never thought of using oils to help me. Hmm! What a fun idea! I am almost convinced to take the risk and order kumquat. I never considered using oils to support journaling. Your description of receiving a beautiful new book and never having the time or energy to devote to filling it definitely hit home. I cannot wait to try the Tissue Trick and relax while I write. I purchased one- I enjoyed it so much, it helped me organized and understanding each oil and its properties. It is a great tool for anyone to use, and I am the kind of person who love to research, I can write down anything on my oil journal and I carry it everywhere so I can read. Also it is perfect for keeping recipes.